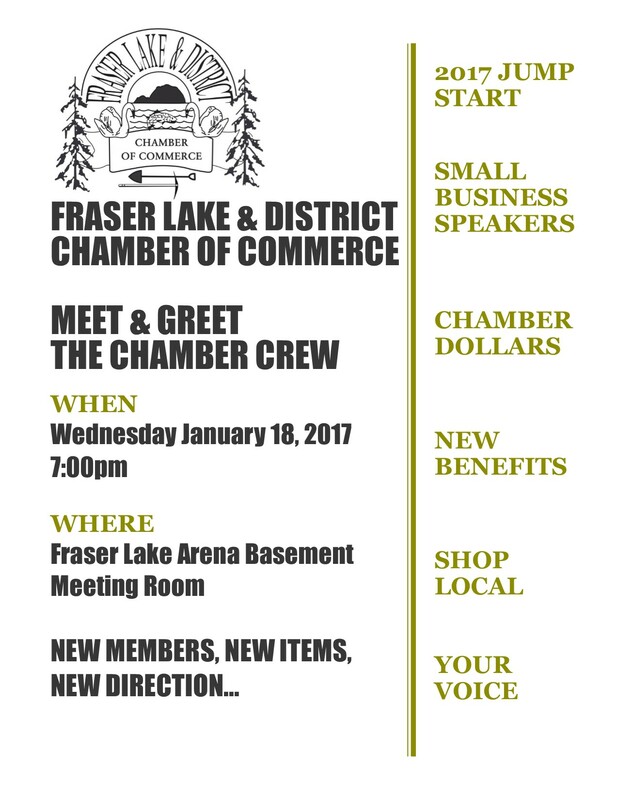 The Fraser Lake Chamber of Commerce is the voice of business for the Fraser Lake area. We are excited about what the Chamber has accomplished in the past and will continue to grow and serve the community in the future. We continue to see opportunities for the area and stay ahead of the curve in promoting economic vitality and quality of life through business and community development. We are focused on a prosperous future, while remembering and maintaining the best from the past. As the only organization that focuses primarily on the needs of the business community, we strive to provide unique opportunities to promote and develop your business. Check out some of these great benefits that we offer exclusively to Chamber Members. Membership promotes your business and saves you money. Your membership allows our non-profit organization the ability to work for you and your business. The Village of Fraser Lake is pleased to announce a new initiative to support local business in the Fraser Lake and surrounding area. We would like to know if this is helpful to you, your business or your employees. We would love to hear from you! PO Box 430, 210 Carrier Cres. Find us on your favourite networks!